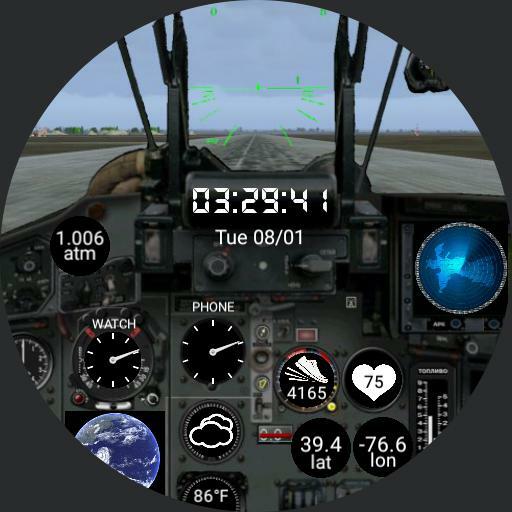 This watch face is dedicated to Russian 4th-generation fighter airplane MiG-29, Fulcrum, which was developed to counter American F-15, F-16 and F-18. Tap center to open stopwatch. Tap weather icon to update weather. Tap heart or shoe to open fitness app. Tap radar to open compass, if your watch supports it.